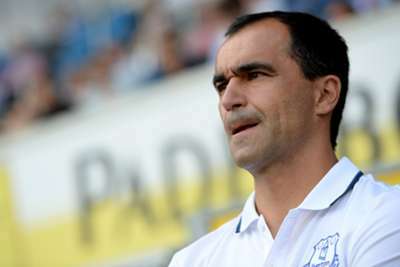 Roberto Martinez insists Everton are prepared for the new campaign after their dismal pre-season ended with defeat against Paderborn. Everton’s 3-1 loss to the Bundesliga new boys on Saturday means they ended their pre-season fixtures without a win. However, Martinez believes the trip to Germany will prove a positive experience ahead of Everton’s participation in the Europa League this term. “We wanted to have a trial of what we will experience when we go away in Europe and it was exactly that,” the Spaniard told Everton’s official website. Martinez went on to say he is eagerly anticipating the start of the new Premier League season, with his team travelling to newly promoted Leicester City next Saturday. “It’s going to be a really good week now getting ready for Leicester, which is another challenge again,” he added.